What does the Community Council do? See the home page for the latest Community Council Monthly Report. A couple of weeks ago a gentleman, not of the parish, after having attended one of our events, remarked that Cockfield has a very warm community spirit. “How do you do it”?” he asked. The answer has to come from the people. how they feel about their neighbours and the village in which they live. it is, in short, warmth of character. The finest feeling of this is displayed by Carols on The Green. Generally, it is a cold, damp, mouldy evening but always well attended by people from all walks of life and the warmth of those there shines through. Please note, this this evening is organised by three bodies, The CC, St Peters and the Congregational church; a fine example of people working together for people. A goodly way to start the new year is the Hangover Hike, a chance to walk the footpaths of the village, meet friends and to admire the finery of the many and various hounds present. Throughout the year the country and western dances at the village hall always draw people to the event. Thanks to the football boys for their work on the monthly newspaper collection and to the many others who drop waste paper and cardboard off at the barn, a valuable facility for the village and one which raises much needed funds. We thank David Hodge for this . The new Mini bus continues to provide a fine service and we say thanks to to Carl Brinkley and to those who administer the scheme and keep it running. The cinema has certainly got its feet firmly on the ground providing another popular get together for the village. Earlier this year we invested in upgrading the sound system and thanks are given to the CC , the Parish Council, and councillor Robert Lindsey for working together and contributing financially to make it happen. A fine evening of magic and laughter was spent by many in the company of Richard Whymark and I know that at some point we will welcome this talented performer again . On the May Bank Holiday, the art show was once again the star attraction drawing so many visitors to the village. Ii was the best attended yet and expertly organised. Hats off to the many who have their time to make it so. Time and tide change so on a sad note it was felt by the trustees that this event has grown a little tired and staid and that we will “rest” it next year. This will give us a clear year to look at what we can put on with a fresher feel for 2020. The produce show will go ahead in 2019 in the village hall. The 1914-18 Armistice remembrance service held on Great Green on the evening of the 11th November, whilst not a CC event, was a moving occasion end was well supported. A really worthy and memorable event which showed the close working relationship between the CC and the Parish Council. To conclude, another busy year and thanks to all who work so hard to make the village a fine, warm place to live. The Board of Trustees is always looking for new people to join us, new blood, new ideas to keep your village alive so come and talk to us. As this world keeps on turning things change and so Victor Keyton and Ashley Cutting are leaving us. We thank them for their impact and we wish them well. A particular man of note who is leaving us is Mr Paul Brinkley. Records show that he was one of the first persons to be on the CC when it was formed in August 1969 – that is 49 years of service to the village. Thanks alone are not enough. This whole community wishes you well. On a plus note we welcome Michelle Callinan and Ian Levett to the board , Jackie Levett has kindly offered to help us where and when she can . It is said that time and tides wait for no man; that has certainly been true this year. We have tried as ever, to host varying and engaging events for the village and I thank all volunteers for their commitment to this end. The Art Show was even better this year with many more artists exhibiting and many more people coming to see, to appreciate and to buy. Nice to see so many visitors appreciating this lovely village as well as the art on display. Newspapers continue to be collected monthly for recycling and the revenue plays a worthy part in the maintenance of the pavilion. Thanks to all the people who give their time on a Sunday morning to collect the paper and to David Hodge for the storage facility. The past year has seen quite a few small family parties using the pavilion and enjoying the green. In July we held a car boot sale on Great Green, at one point it looked like a no-hoper but suddenly people came out of the woodwork and made the occasion a complete success. The Village Show at Clipt Bushes was, once again, a fine event, it’s good to see old villagers rubbing shoulders with newcomers on such a social day in such a beautiful setting. Many people made this happen and. I thank each and every one for their involvement and I especially thank Barbara and Caroline Ruffell for allowing us to use their lovely barn and grounds. In September we held a major 60’s dance at the village hall , a bit of something completely different for village entertainment , well presented and well supported. This was followed in November by a Quiz night attended by many with massive intelligence and IQ but some people ( myself included he said quietly) didn’t know quite as much about Cockfield as they thought they did! Ear’s meadow and Bruff’s Line opened a few eyes wide in September when it hosted a major Tree Warden’s forum ; about 70 people visited and were visibly impressed by the work that has been done there and the enhanced beauty. Hats off to all the people involved who make this area such a place of relaxation and peace. Around the end of the year the mini bus was replaced by a more up to date model. I wish to thank Carl Brinkley and Rod Portwood for their work on this and also Councillor Robert Lindsey and the Parish Council for their financial input and Hewicks Haulage for stabling the vehicle. Carols on The Green is always a good way end the year, always cold up there but never too cold to mar the warmth of those who come together to make a glad noise and to celebrate the true .meaning of Christmas. The Hangover Hike was well supported and a worthy social way to see in the new year. Plenty of water for the Duck Race this year! We just about managed to catch the ducks before they got to Lavenham. Number 17 is still AWOL so if you find him send him home. Lots of people turned up and everyone got a prize which compensated a bit for some rather wet feet. The cinema nights are working very well and people are obviously enjoying the films that Julie selects for the village. We are striving to improve the quality of the shows and are currently working on getting a surround sound system,. It’s interesting to note that some villages with populations far in excess of our own have far lower audience numbers. Keep up the good work! Notice should be taken of the monthly coffee mornings held at the village hall, well attended by all age groups and a very pleasant way to spend a couple of hours. Actually, those words apply to all who have worked and will work for the good of this parish. Without you this village would not be the place that it is. 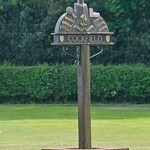 Cockfield Community Council was established as a Charity in 1968 with the objective of providing adequate recreational facilities for the benefit of the community residing in Cockfield. Their first task was to provide a new village hall which was completed in 1978. Today the Community Council still offers support to the Village Hall and other local projects raising funds by way of various events. Manages and Maintains the Community Mini Bus. The Community Council is governed by 16 Trustees and relies on volunteers to help with our many activities. All adults in the Village are automatically members of the Community Council and annual membership is currently free. Profits from our various activities and events are invested in supporting the local community.